Unfortunately, WMP does not transfer playlists to the Android music player when it syncs the music files. A. This is incorrect, because on ‘trial & error’, I did indeed successfully transfer my Playlist to my Android music player when it syncs my music files. I had no issue with it, so please make the correction above. That actual “syncing” will occur on the Samsung Phone setting *only (one option). Please forgive my delay in approving your comment. This article is really old and I haven’t tested WMP or Android in years. 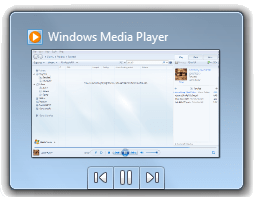 If I am interpreting what you say correctly – if a Samsung phone is in a particular mode, WMP can sync the files and the playlist. Is that correct? Thanks for the feedback! Yes they’ll transfer by simply copying via explorer, however you end up with double file entries – 1 of .wpl and another .pla. Don’t know a way around that, but they will work.